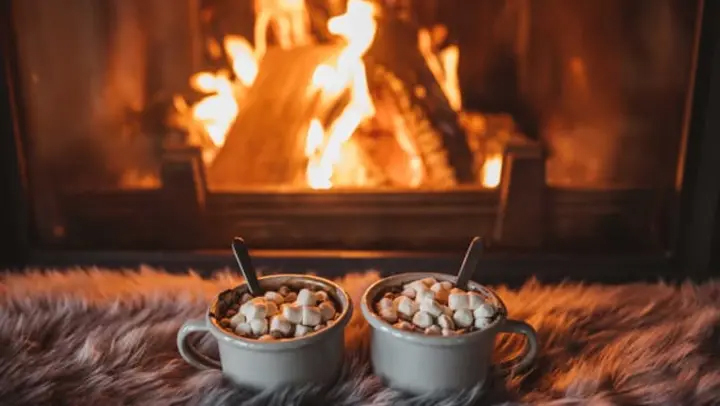 With winter in full-swing, we thought we’d share our two cents on how to make sure your home survives the year’s chilliest months with flying colors. If you have a fireplace, the next few months are the best time to use it! Before you do, it’s a good idea to have it inspected on an annual basis, to make sure your family and your home are not at risk for fire damage! In addition, be sure to make sure your smoke and carbon monoxide detectors are functioning properly by testing them monthly and changing their batteries twice a year. Regular maintenance of your HVAC system is vital to both its efficiency and its production of quality indoor air. Make sure that in addition to changing your air filters every one to three months, you contact your HVAC provider for a winter check-up. Preventative maintenance can eliminate the most common HVAC issues. Extremely cold temperatures can cause your pipes to freeze, or even rupture! Make sure your thermostat is never set lower than 55 degrees, even when you leave town for a vacation. In addition, consider opening your kitchen and bathroom cabinets, as well as letting your faucets trickle with warm water when the temperatures outside are below freezing. The open cabinets will allow for warm air to circulate around the pipes, while the warm water will allow warmth to circulate inside them. Always make sure your pipes and faucets are insulated, perhaps using plumbing insulation foam. Never leave children unattended near a heater. Ensure your fireplaces, wood stoves, and combustion heaters are properly vented to the outside and that they do not leak. Never burn paper in your fireplace. Never substitute your heater’s fuel type. Make sure space heaters are at least three feet away from anything considered flammable. Ensure all cords are undamaged and are placed to avoid trips and falls. Never use an extension cord as a permanent solution. Protect your family from carbon monoxide by installing a battery-operated detector. Make sure you have clear access to the fire extinguisher, and that your family members know where to find it. The beauty of building your home from start to finish is the peace of mind that comes with knowing your home inside and out. At Stephens Valley, we make it our mission to build homes with both design and efficiency in mind, so our homeowners have it easy when it comes to winter preparedness. Contact or visit us if you’d like to learn more about all that we have to offer your family in our community!